FRANKFURT—European researchers have found that the popular PGP and S/MIME email encryption standards are vulnerable to being hacked, and they are urging users to disable and uninstall them immediately. University researchers from Muenster and Bochum in Germany and Leuven in Belgium discovered the flaws in the encryption methods that can be used with popular email applications such as Microsoft Outlook and Apple Mail. 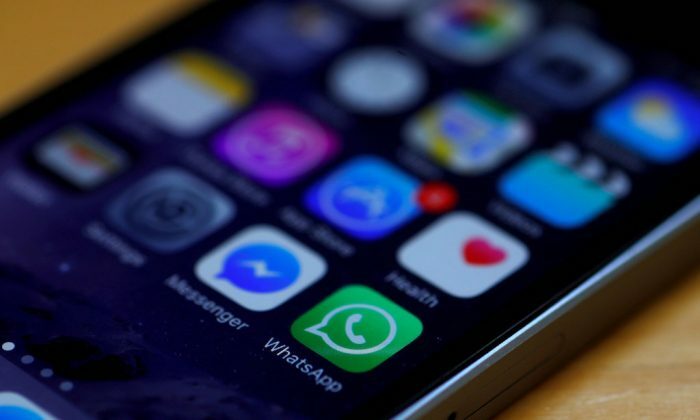 The team had been due to publish its full findings on May 15 but rushed them out after the news made waves among the community of encrypted email users that includes activists, whistleblowers, and journalists working in hostile environments. Titling the exploit “Efail,” they wrote that they had found two ways in which hackers could effectively coerce an email client into sending the full plaintext of messages to the attacker. In the first exploit, hackers can “exfiltrate” emails in plaintext by exploiting a weakness inherent in hypertext markup language (HTML), which is used in web design and in formatting emails. Apple Mail, iOS Mail, and Mozilla Thunderbird are all vulnerable to direct exfiltration, they said. The vulnerabilities in PGP and S/MIME standards pose an immediate risk to email communication, including the potential exposure of the contents of past messages, said the Electronic Frontier Foundation (EFF), a U.S. digital rights group. “Securely encrypted email remains an important and suitable means of increasing information security,” it said in a statement, adding that the flaws that have been discovered can be remedied through patches and proper use. PGP—short for Pretty Good Privacy—was invented back in 1991 by Phil Zimmermann and has long been viewed as a secure form of end-to-end encryption impossible for outsiders to access. Zimmermann is co-founder and chief scientist of Silent Circle, an encrypted communications firm. PGP works using an algorithm to generate a “hash,” or mathematical summary, of a user’s name and other information. This is then encrypted with the sender’s private “key” and decrypted by the receiver using a separate public key. To exploit the weakness, a hacker would need to have access to an email server or the mailbox of a recipient. In addition, the emails would need to be in HTML format and have active links to external content to be vulnerable, the BSI said.